While these cute chicks are great anytime, these are ideal for Easter. All you need are cardboard tubes, paint and chenille stems. 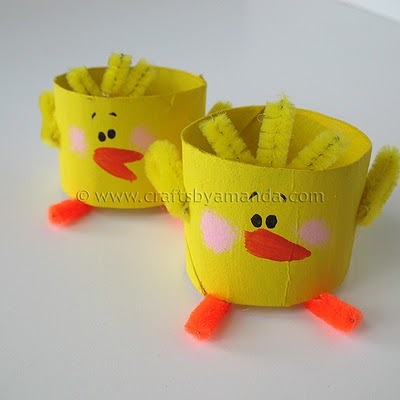 Make these Cardboard Tube Chicks.